On a Saturday morning in March 1991, a group of Black men held a meeting in Baltimore City’s Friendship Baptist Church. The purpose of the meeting was to form an organization designed to halt destructive directions being taken by many of our black youth. Following that meeting, the 100 Black Men of America, Inc. whose mission is specifically directed towards improving the conditions of African American youth, was contacted for information about starting a chapter in Maryland. Later that month, ten men held a second meeting at Coppin State University. These men understood the urgency of the moment and swiftly developed an organizational structure and submitted an application for a chapter to the 100 Black Men of America, Inc. 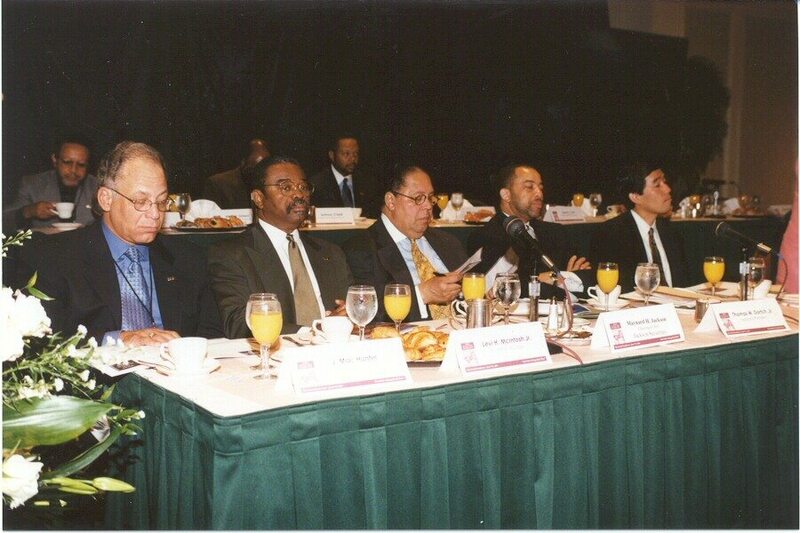 The national organization approved our application and the 100 Black Men of Maryland, Inc. was incorporated April 1991. Understanding that it sometimes takes more than a village to raise a child, especially African American males, the 100 Black Men of Maryland, Inc. is prepared to continue its efforts to provide young Black men with more than just an outside chance to have successful lives.